A high performance acetoxy curing silicone which provides a permanently water tight flexible seal. Ideal for use on glass, painted surfaces, sanitary ware, ceramics and non-porous surfaces. 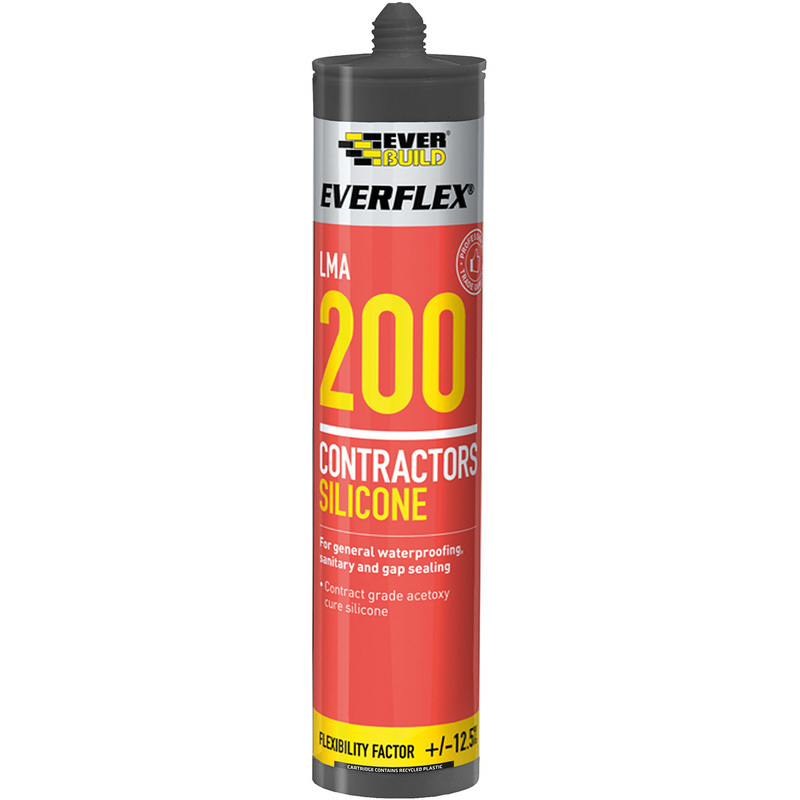 Contractors General Purpose Silicone 300ml Brown is rated 4.7 out of 5 by 11. Rated 5 out of 5 by SUNNYRHYL from Excellent Purchased items to seal greenhouse plastic panels.Excellent service arrived as promised. Rated 5 out of 5 by Oldbob from Trade silicon - Clear Excellent product, just as good as the expensive stuff. Used it to seal around the edge of a metal shed. Rated 5 out of 5 by Chappo25 from Good value for the price Used to seal glass into a plastic frame, did the job well.